The disease, which affects one in eight women, also makes victims of some of their partners. At the LIVES National Centre of Competence in Research (NCCR), a project led by Prof. Nicolas Favez shows that both partners need to be supported. This is a micro team that has started studying the psychosociological impacts of a major 21st century disease: breast cancer, the main cause of death of women under the age of 60. 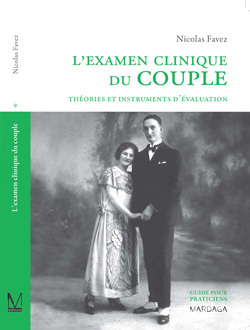 Nicolas Favez, professor of psychology at the University of Geneva, and head of IP11 at NCCR LIVES, is carrying out a longitudinal study with a post-doc researcher, a PhD student and a nurse, in collaboration with a physician at the CHUV, taking the original approach of also looking at what the romantic partner goes through during this ordeal. The study consists of several stages. In the month following their operation, the patients and their companion are asked to fill out a personal questionnaire, and to take part in a 30 minute interview. This exercise is then repeated three times over the course of the next two years. The questionnaire collects socio-demographic data about the participants, as well as information on their psychological state of mind, the quality of their relationship as a couple, and the social support they are receiving. The interview allows certain feelings to be examined in more depth and uses a "mixed methods" approach, combining quantitative and qualitative elements. Initially, at the end of 2011, the team was expecting to have difficulty in recruiting participants and set itself the target of finding 60 couples, or 120 people. Two years later, 150 people have already been interviewed and experience shows that the refusal rate is only 30%. Single women are also taking part in the study, or women who have a partner but who responded solo, as their partner did not agree to join the project. "We see that people are often glad that someone is interested in them other than for medical issues. Men are especially pleased that they are included in the process", explains Prof. Favez. "Our analysis of the initial data shows that the stress created by the disease is just as great, if not greater, for the men than for the women, who have a clear enemy to fight, while their spouses feel adrift and not in control of the situation." The researcher also noticed that the women who show the highest indications of the symptoms of depression are those whose companion refused to take part: "It could well be an indicator of tension in the relationship, and we already know that support from the romantic partner is essential to your mental health during any kind of illness. What is more controversial is whether mental health in its turn has an effect on the immune system, and therefore on physiological health", he continues. At this stage the only analysis has concerned the first wave of questionnaires and interviews. "We have material for ten years of research and publications", the project leader says delightedly. Another original aspect of this study is the application of attachment theory to observe the way in which women experience their cancer, and to analyze the kind of support romantic partners provide when faced with a disease like this. Roughly summarized, this theory classifies people into three styles of attachment: secure, anxious and avoidant, depending on personality traits developed in the first few months of life. "We have already been able to analyze that avoiding women, who do not display their emotional needs and who are very much in control of themselves, suffer more from the damage breast cancer does to their body image. That makes us think that perhaps interventions need to be adapted to match the personalities of each of the women and their partners", says the psychologist. The ultimate goal of this study, in addition to fundamental research, is to come up with some proposals for preventing the negative effects of cancer on psychological well-being. For the moment, women do not receive any systematic follow-up, and men receive no support at all. The project team feels that a place needs to be provided where men can come to relieve the burden of assisting their ill partner every day, with complete confidentiality. The interviews carried out as part of the study show that, in any case, the companions are very pleased that someone is showing an interest in their personal situation. The other conclusion, also provisional for the moment, is that if this offer is built into the standard treatment process for the patient, it is more likely to be absorbed than if it comes from a different source. Couples will accept this offer more willingly if it does not divert them from their top priority: beating the disease.